Whom Did Nephi Quote in 1 Nephi 22? Nephi concludes his first book with a discourse on the scattering and gathering of the House of Israel. Buttressing his theological arguments, Nephi quotes “liberally from the prophets he had just cited” in the preceding chapters of 1 Nephi, specifically Isaiah and Zenos.1 But rather than the type of extensive quotations that would appear later throughout 2 Nephi, 1 Nephi 22 employs sophisticated quotations and allusions to these two prophets. Grant Hardy has identified a number of verses in this chapter which either quote from or allude to Isaiah and Zenos. Thus, verse 4 reads, “And behold, there are many who are already lost from the knowledge of those who are at Jerusalem. Yea, the more part of all the tribes have been led away; and they are scattered to and fro upon the isles of the sea; and whither they are none of us knoweth, save that we know that they have been led away.” The italicized portions of this verse come from Isaiah 49:21 (quoted in 1 Nephi 21) and from Zenos (quoted in 1 Nephi 19:10, 12, 16). And it shall also be of worth unto the Gentiles; and not only unto the Gentiles but unto all the house of Israel, unto the making known of the covenants of the Father of heaven unto Abraham, saying: In thy seed shall all the kindreds of the earth be blessed [Gen 22:18]. And I would, my brethren, that ye should know that all the kindreds of the earth cannot be blessed unless he shall make bare his arm in the eyes of the nations [Isa 52:10]. Wherefore, the Lord God will proceed to make bare his arm in the eyes of all the nations [Isa 52:10], in bringing about his covenants and his gospel unto those who are of the house of Israel. Wherefore, he will bring them again out of captivity, and they shall be gathered together to the lands of their inheritance; and they shall be brought out of obscurity and out of darkness [Isa 29:18]; and they shall know that the Lord is their Savior and their Redeemer, the Mighty One of Israel [Isa 49:26]. Far from slavishly and lazily copying the Bible, Book of Mormon authors, such as Nephi, conscientiously knit together strings of biblical phrases and passages in an intricate manner that expanded and re-conceptualized the teachings of biblical prophets. This phenomenon of a text recombining quotations, allusions, and paraphrases of other texts for new literary purposes is called intertextuality. It was anciently the mark of a fine scribe or author and is found explicitly and implicitly throughout the biblical books themselves. 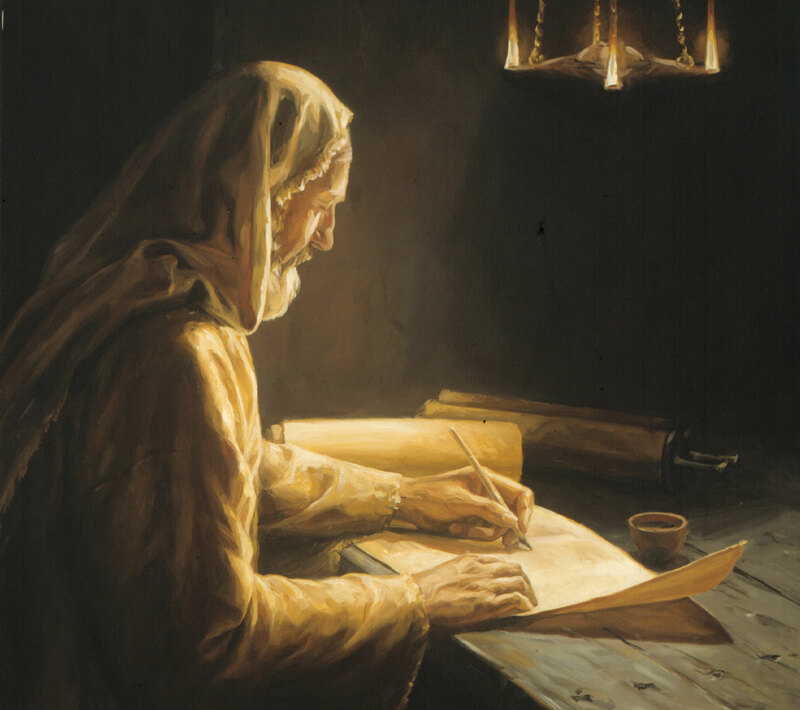 Since Nephi was clearly literate and was most likely trained in a scribal school where such techniques were taught,4 we should not at all be surprised to find such brilliance in his record. Readers of the text can therefore better appreciate the literary skill and grace that went into the production of the Book of Mormon. See Brant A. Gardner, “Nephi as Scribe,” Mormon Studies Review 23, no. 1 (2011): 45–55. Grant Hardy, Understanding the Book of Mormon: A Reader’s Guide (New York: Oxford University Press, 2010). Grant Hardy, The Book of Mormon: A Reader’s Edition (Urbana: University of Illinois Press, 2003). 1. Grant Hardy, The Book of Mormon: A Reader’s Edition (Urbana: University of Illinois Press, 2003), 57. 2. Hardy, The Book of Mormon, 57–60. 3. Grant Hardy, Understanding the Book of Mormon: A Reader’s Guide (New York: Oxford University Press, 2010), 65. 4. See Brant A. Gardner, “Nephi as Scribe,” Mormon Studies Review 23, no. 1 (2011): 45–55. Is the Book of Mormon Musical? What Does It Really Mean to Be a Good Person?